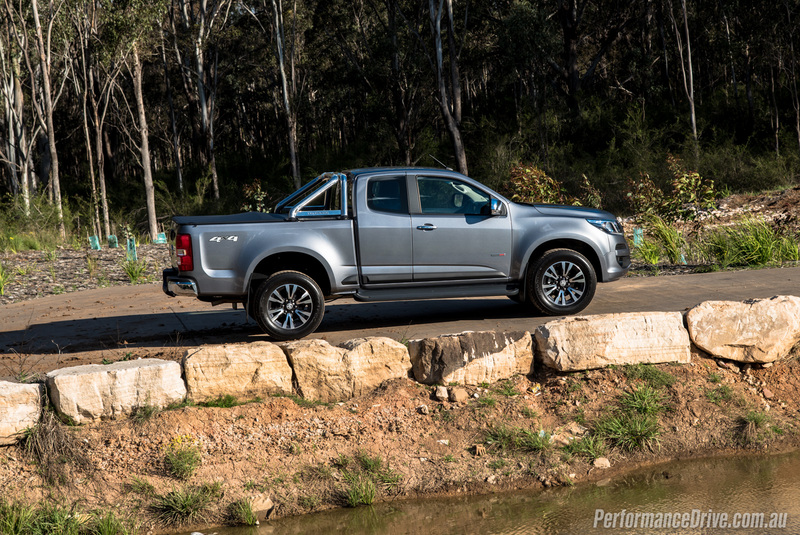 The facelifted 2017 Holden Colorado LTZ aims to maintain a steady market position in the 4×4 ute segment and right some criticisms of the outgoing model. 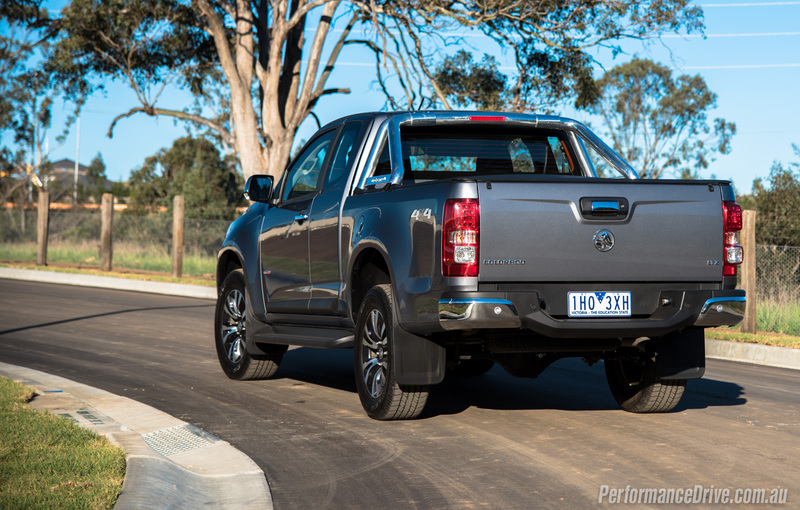 During the course of 2017, the Thai-built workhorse will also become the default Holden ute, after the Australian-built VFII fades into history. 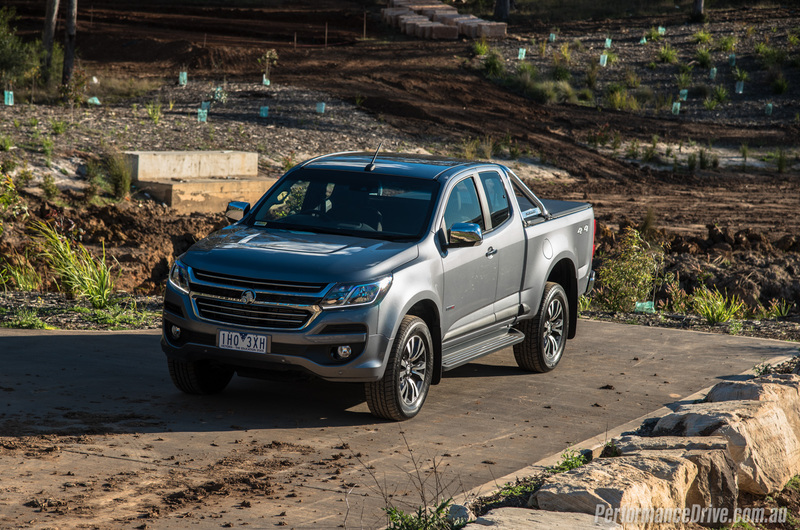 Sales volume for the growing 4×4 utility sector sees the Colorado behind Ranger, HiLux and Triton, but not by a significant margin. 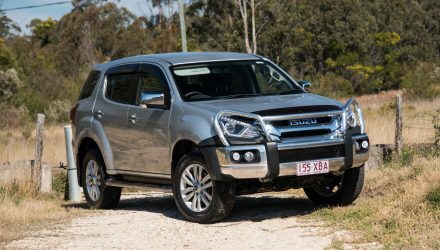 It is ahead of BT-50, Navara and Amarok, to name a few, not to mention its Isuzu D-Max brother (VFACTS, September 2016). 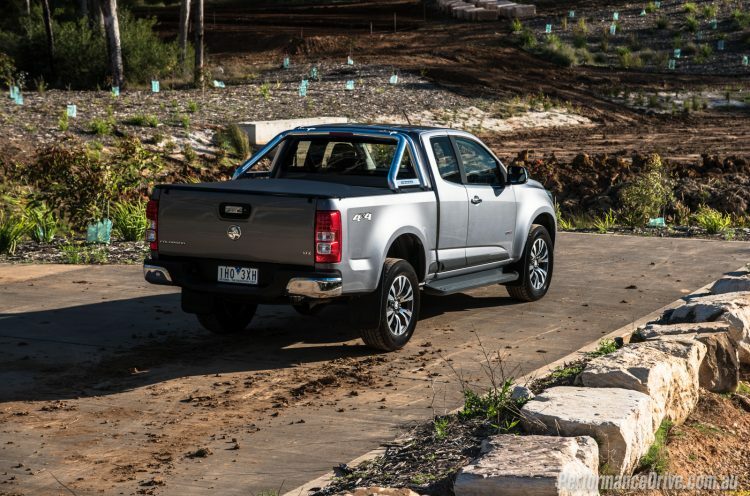 Draw-cards include a class-leading torque figure of 500Nm, a 3.5-tonne towing capacity and contemporary styling. 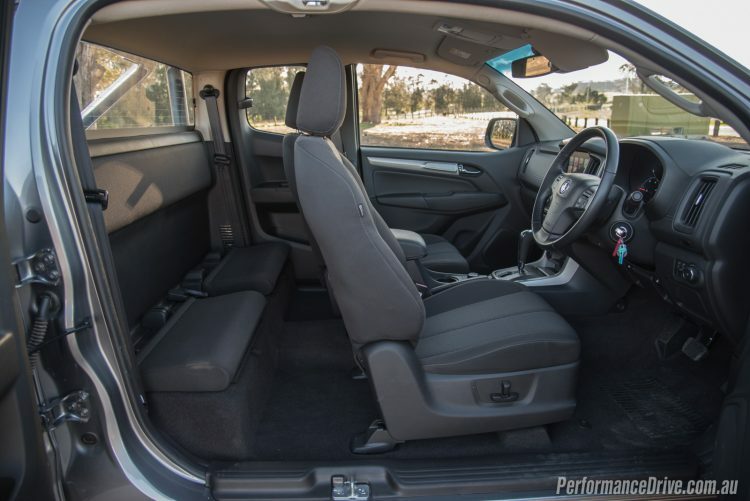 It must be said though, the interior of the outgoing Colorado was an incongruous plasticky mess, it trailed the class for refinement and couldn’t offer the same driving experience as newer key rivals. The Colorado returned to the US market last year, first undergoing a significant restyling. 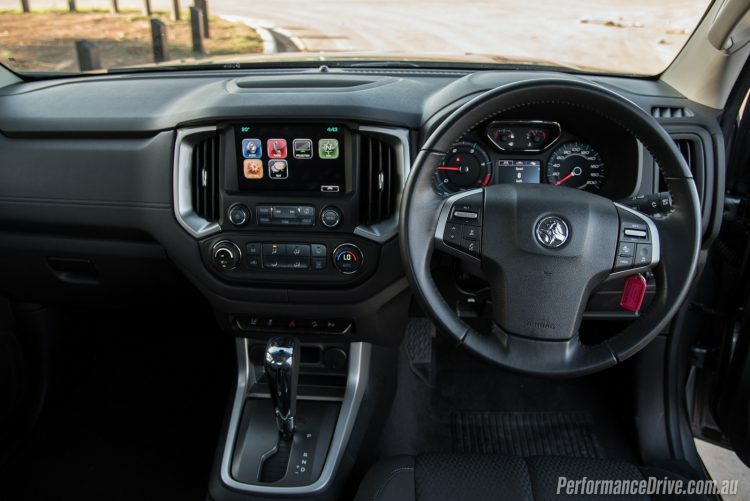 The global Colorado seen here borrows heavily from that car, including an almost completely different interior with Apple CarPlay/ Android Auto and new driver assistance features. Holden stresses that work has been done to improve refinement and driveability too. 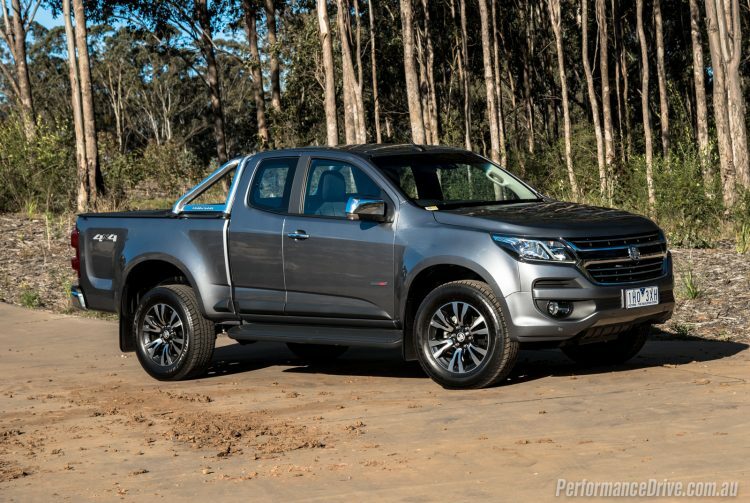 The question is, do all these changes bring the Colorado up to par with the class best? The variant we have here is the LTZ space cab, which starts at $51,190. The space cab arrangement, used by almost all competitors, is fine for when you need the occasional extra pair of seats. In a tight shopping centre car park, the suicide doors make it almost impossible to squeeze four people back in with dignity. 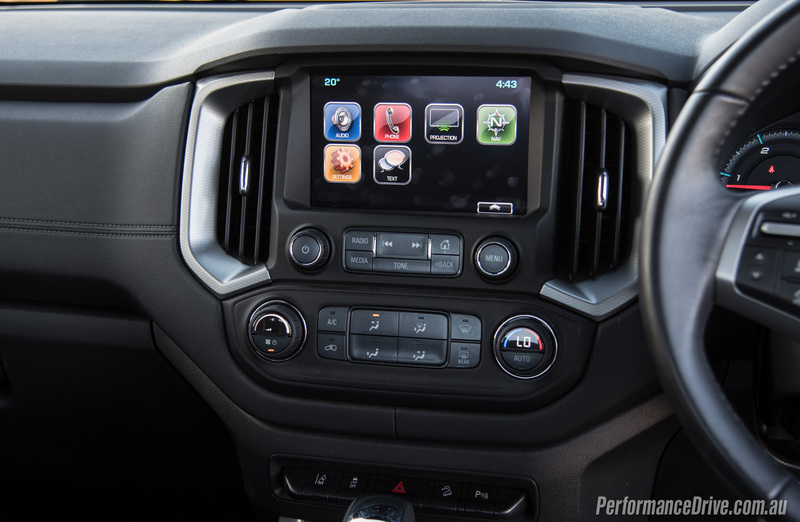 The interior is a major step forward from the eyesore that came before it. The new arrangement feels very upright and logical. You can see the American influence, with large buttons and knobs that can be operated with snow gloves on. A series of toggle switches under the climate control knobs underscores an ergonomically sound settting. 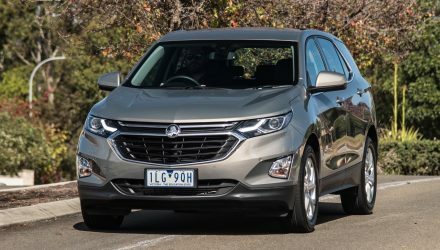 It’s just a shame Holden has persisted with the nasty steering wheel and gear lever from the old model. Aside from those two items, quality of materials is pleasant. The dials and instrument screen are familiar Holden fare, and happily feature a digital speedometer. 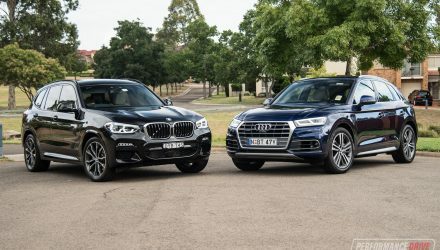 In terms of functionality, the touch-screen does have Apple CarPlay and Android Auto, but you get the impression the software is not the same as on other Holdens. For example, the satelite navigation is slow, with terrible route calculations and no traffic updates. 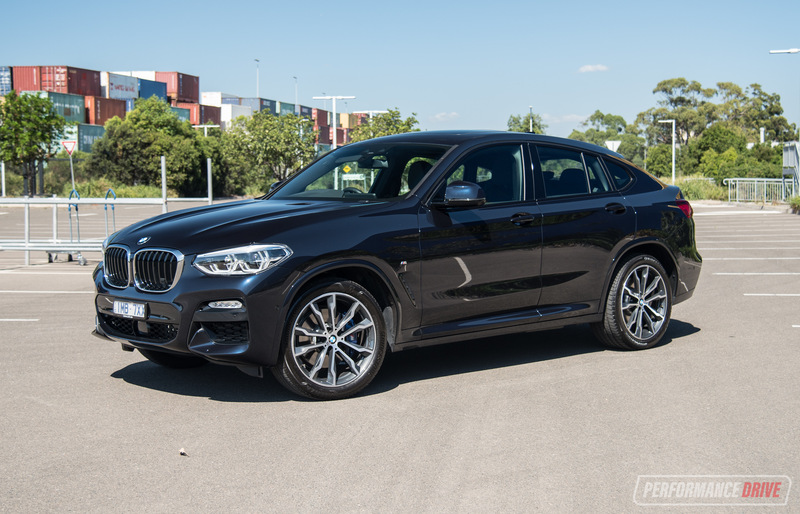 On test, it tried to send this reviewer head-on into a one-way street in Sydney’s CBD. If you like wild goose chases, this is the sat-nav system for you. Otherwise, you’re safer juggling a Haynes-Gregory. Audio quality is decent and Bluetooth pairing works well enough. Comfort-wise, the vertical dash adds to the feeling of space and the electric seats are a welcome bonus in the front albeit not dropping low enough for taller individuals. 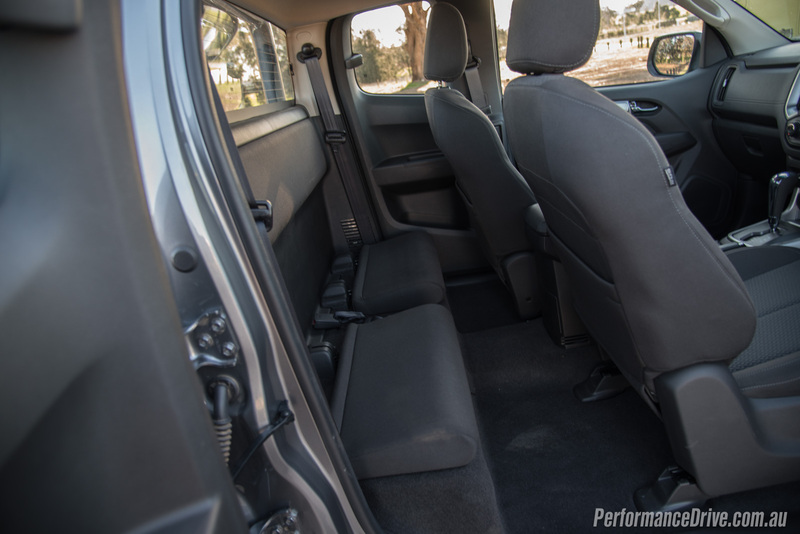 Lumbar adjustment is missing but the front seats are supportive with decent-size bolstering and soft cushions. Rear seat space is predictably tight, but useful for shorter trips. There are no climate vents in the back either, as featured on some of the space cab rivals. 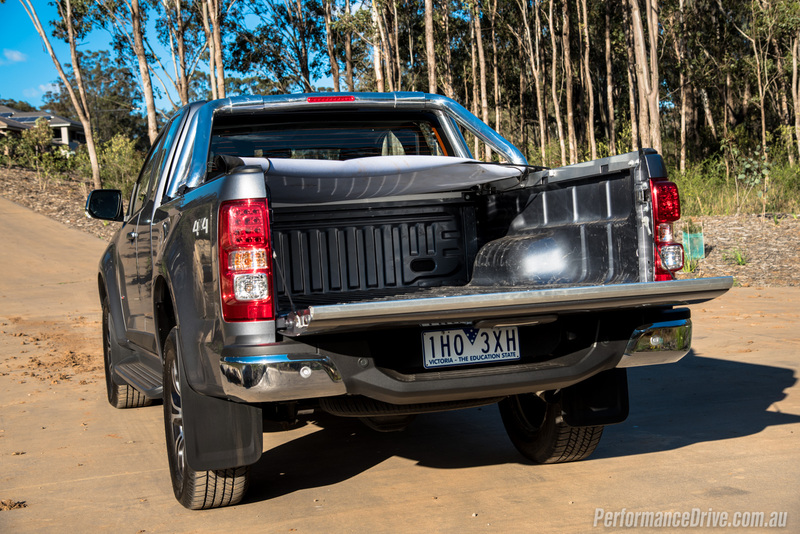 Tie-downs on the tray are handy but a 1534mm load width trails Amarok’s pallet-swallowing 1624mm. 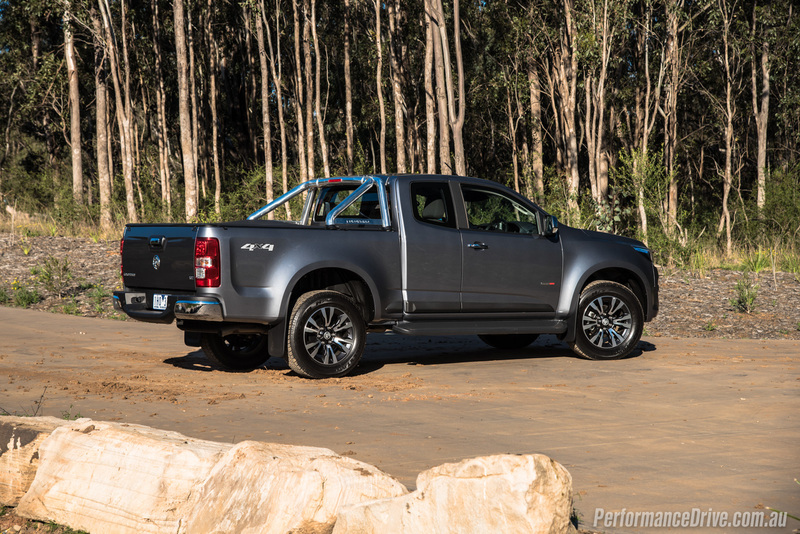 Payload for this space cab version is rated at 1086kg, with the class-benchmark 3500kg towing capacity for anything extra you need to carry. 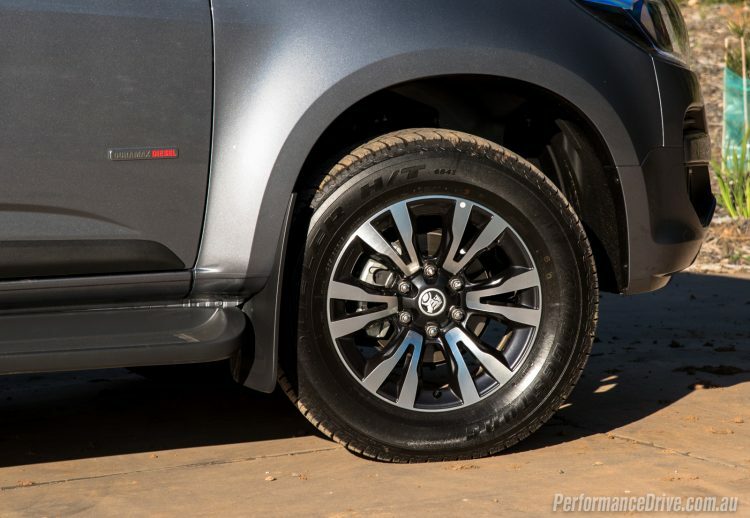 Safety is now helped along by a driver’s knee airbag plus forward collision warning and lane departure warning. 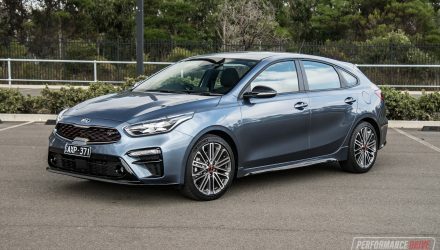 There is no blind-spot monitoring or active cruise control but a reverse camera plus front and rear sensors are great allies in the car park. Colorado already earned a five-star ANCAP rating prior to this revision, and this rating continues. This is where the Colorado needed improvement the most. 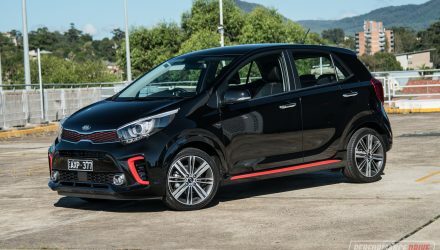 A new electric power steering system with 3.29 turns lock to lock (previously 3.9), a new damping system for the torque converter plus new engine, body and transmission mounts all aim to improve maneuverability and noise, vibration and harshness. 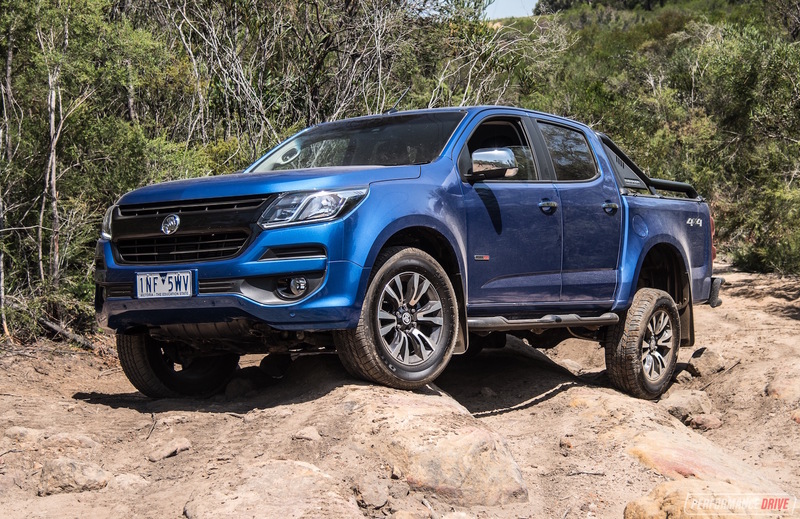 Holden says its engineers worked closely with GM’s Brazilian outpost, along with countless laps of Lang Lang, ensure it met its targets. 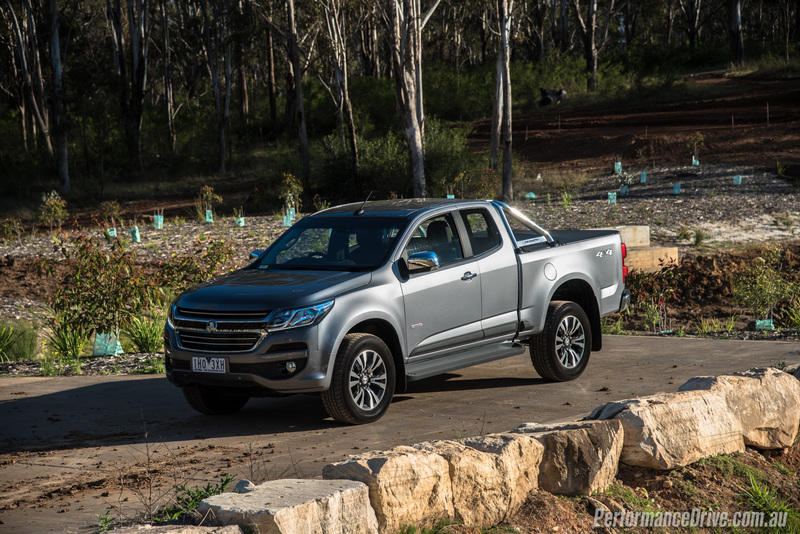 The Colorado feels poised and confident most of the time, with good high speed grip and most noise isolated from the cabin. 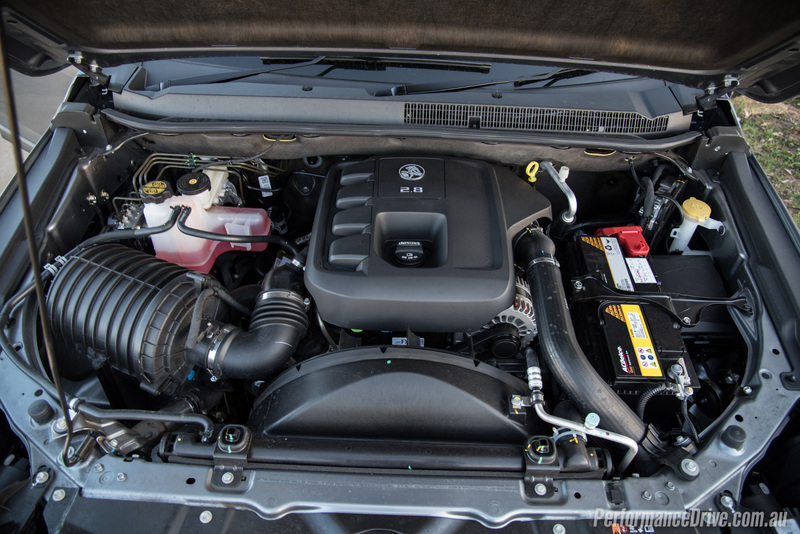 The carry-over 2.8-litre diesel engine is the only thing that makes itself heard, and spoils an otherwise hushed workspace. 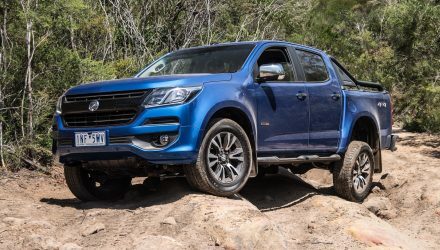 A competent rather than engaging chassis with numb, feedback-free steering means the Colorado isn’t as fun to twirl as a Ranger or Amarok but it gets the job done and is easy to place on the road. Bump isolation is one area worthy of praise, however. 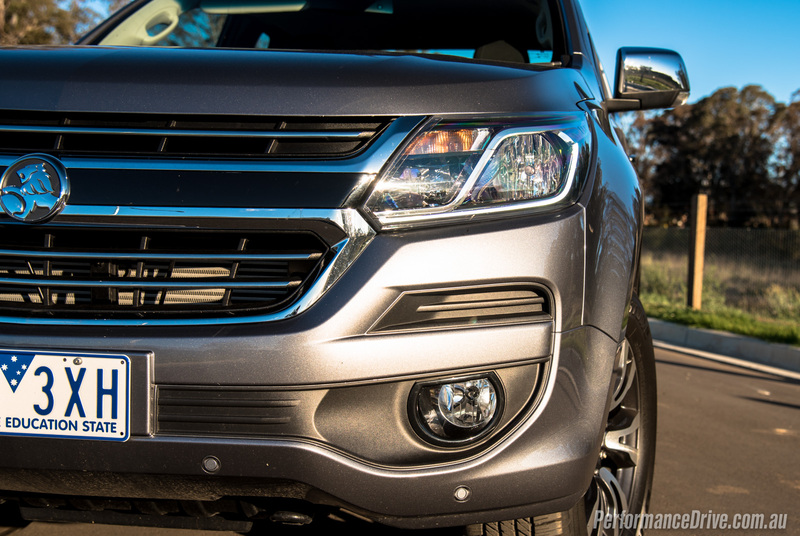 On paper, the Colorado’s 147kW/500Nm diesel engine has always had the brawniest torque figure in its class. Being a 2.8-litre unit, the turbo doesn’t bring that 500Nm into play until 2200rpm, meaning there is no immediate response off the mark. Once it gets chugging, it feels muscular but that initial deficit makes it feel slower than it is. 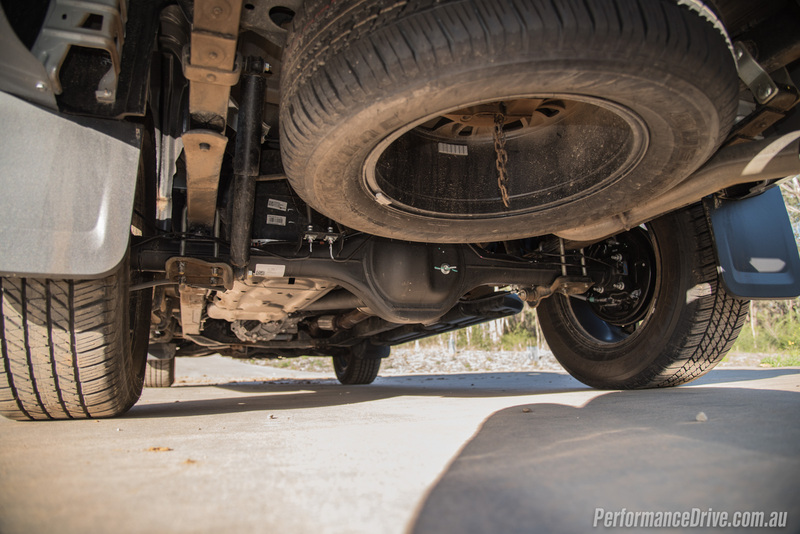 If you’re going to talk the torque then you need to back it up earlier on. Manual customers cop a 60Nm haircut to 440Nm. We timed 0-100km/h in 9.71 seconds. 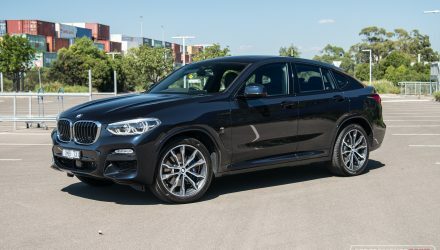 At least it is economical, with an average of 9.5L/100km during our time with it against an official figure of 8.6 on the combined cycle. 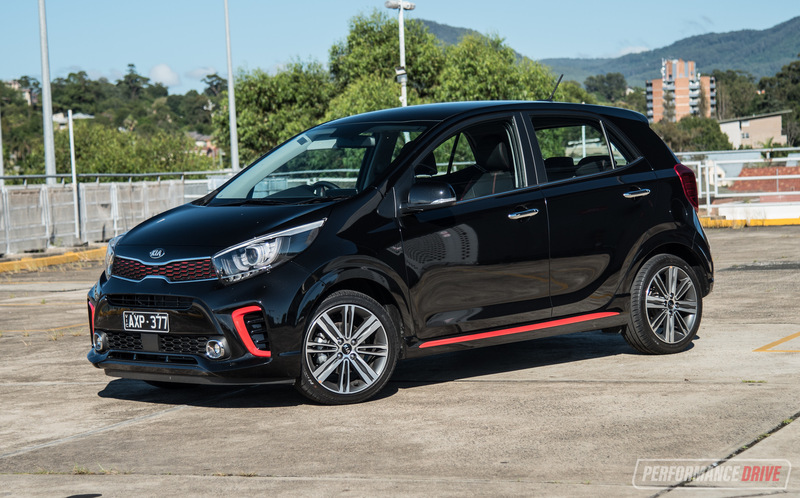 Braking is handled competently with decent pedal feel and the excellent six-speed gearbox’s grade braking feature, that provides plenty of downhill engine braking, automatically. 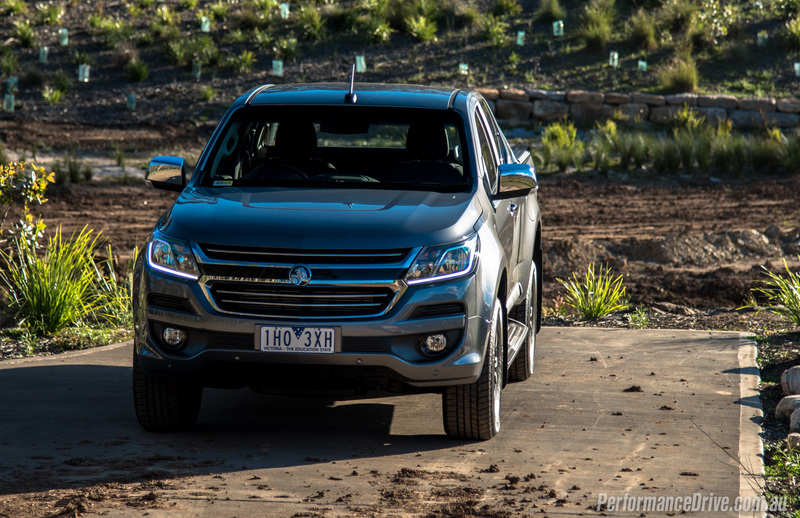 All-in-all the new 2017 Colorado has improved massively and scores well in interior ergonomics (hardware at least), ride quality, vibration isolation, safety features and comfort. It has a competent chassis, good fuel economy and it all feels trustworthy. 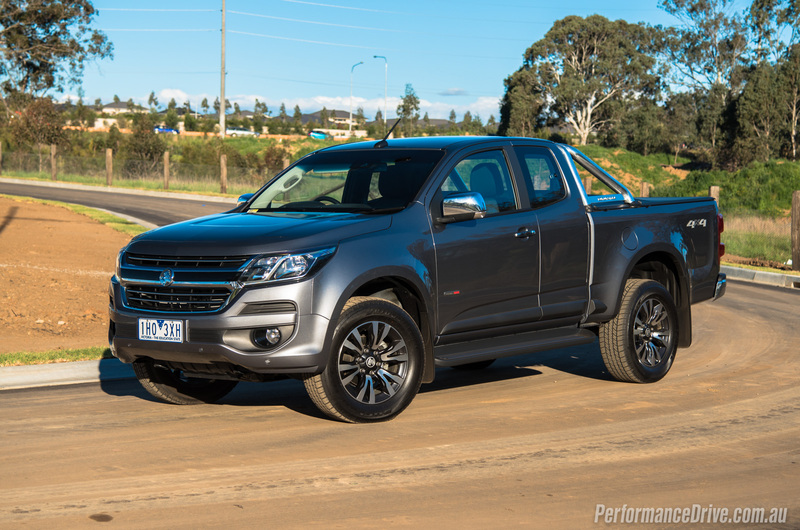 Counting against it is a slightly agricultural and laggy diesel engine that keeps class honours out of the Colorado’s reach. 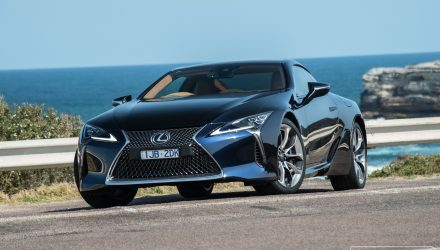 A bewildering satellite navigation system and confusing touch-screen also let the team down, but they are only a software update away from fixing. What we want to see is more of the US Colorado translated to our version. 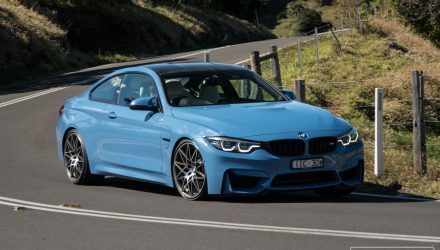 As we reported in August, it just received a 230kW, 373Nm V6 engine with an eight-speed automatic gearbox. 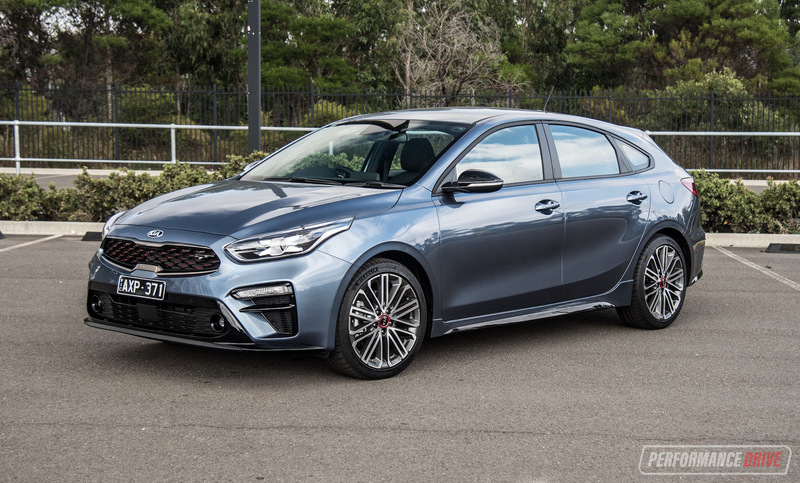 This would make a compelling case for best-in-class and fill the void left by the V6 Holden Ute next year. Come on Holden, you know you want to. As always, if you’re thinking about buying a new car don’t forget to click here to speak with our car buying specialists.